Stunning, meticulously maintained, waterfront home on .72 acres on Huspah Creek in beautiful Bull Point Plantation. Special attention to all details in this custom built 3 Bed 2 Â½ Bath home. 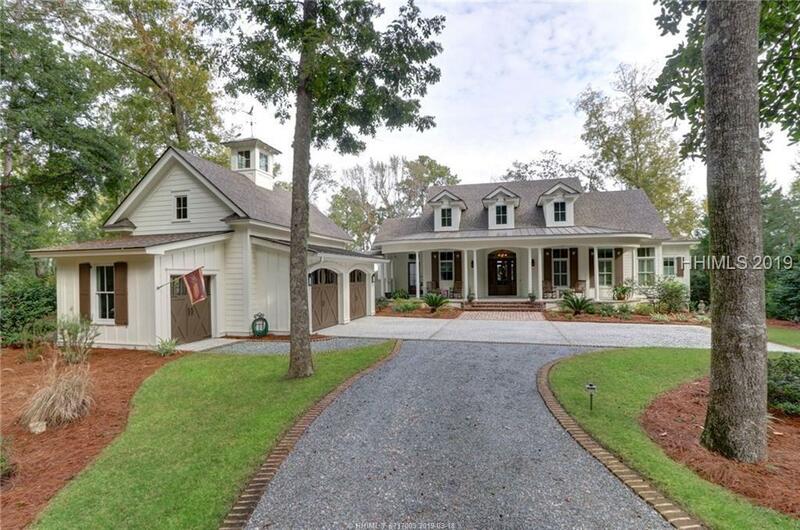 Upgrades galore~open floor plan with gourmet kitchen, 11 ft. ceilings, master suite on the first level, extensive outdoor living areas on the screened porch with gas grill, refrigerator, sink & wood burning fireplace and the ground level patio with a fire pit. Gorgeous landscaping with brick lined drive and walkways, 6 zone auto irrigation system with gorgeous landscaping. This house takes move-in ready to the next level. Do not miss this opportunity!